This swimsuit from Monifc is not only a little retro but its very versatile: I had three different styled looks in mind but settled on just one [maybe two] for today’s post. This bikini top looks fantastic as-is, matched with a black, pink or even a white bottom. Personally, I’m really obsessed with the pink and also the purple suit and I think it would be gorgeous to buy all three and mix and match tops and bottoms. When I saw how bright and beautiful the mint color was, I just had to find a beautiful pair of pastel sunnies and make plans to head to the pool with my gal pals ASAP. 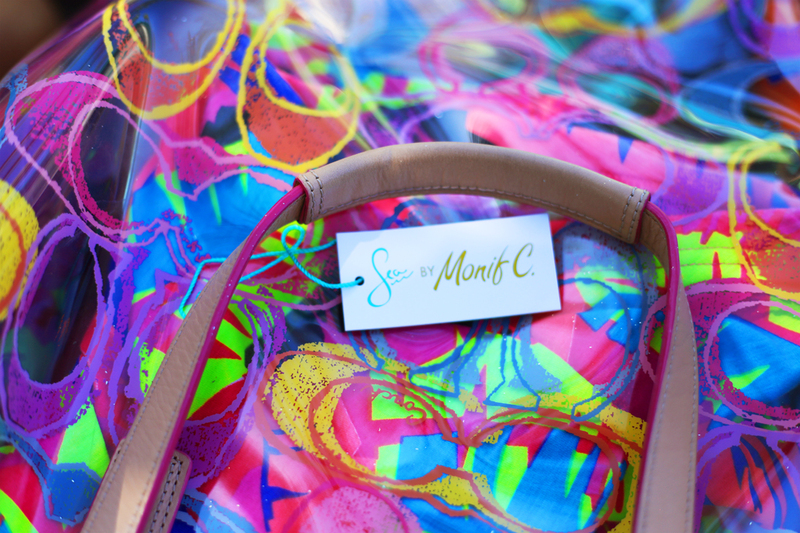 If you’ve never worn a Monifc swimwear piece then you probably don’t know how incredibly nice the fabric is. 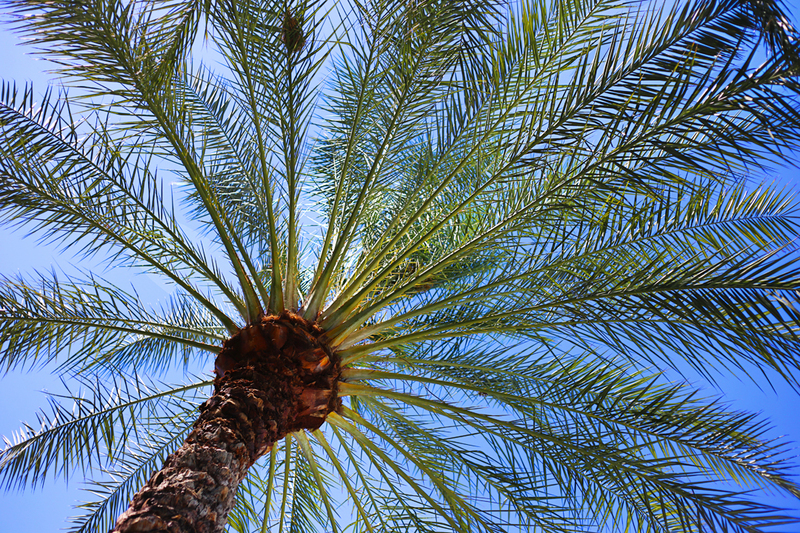 Let me tell you, her swim bottoms are full coverage and they are magic – I love how her pieces hug my curves! 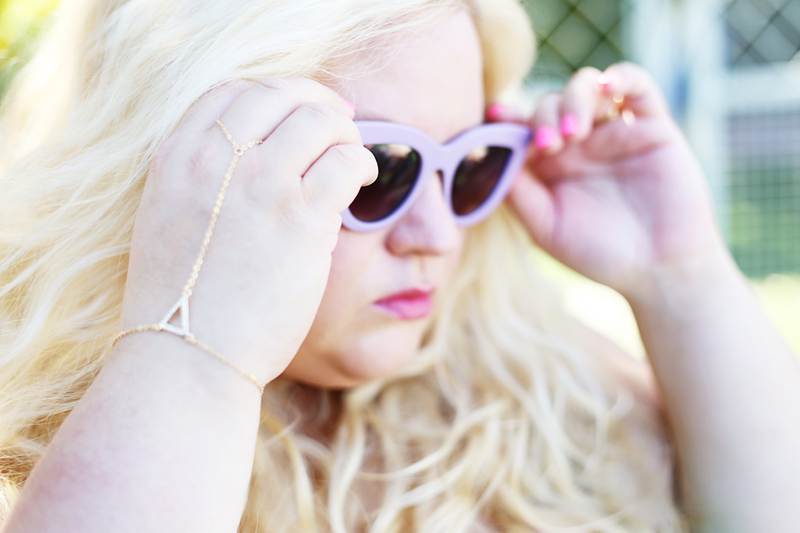 I feel so comfortable in my skin and so fashionable – its really the only way a girl should ever feel. 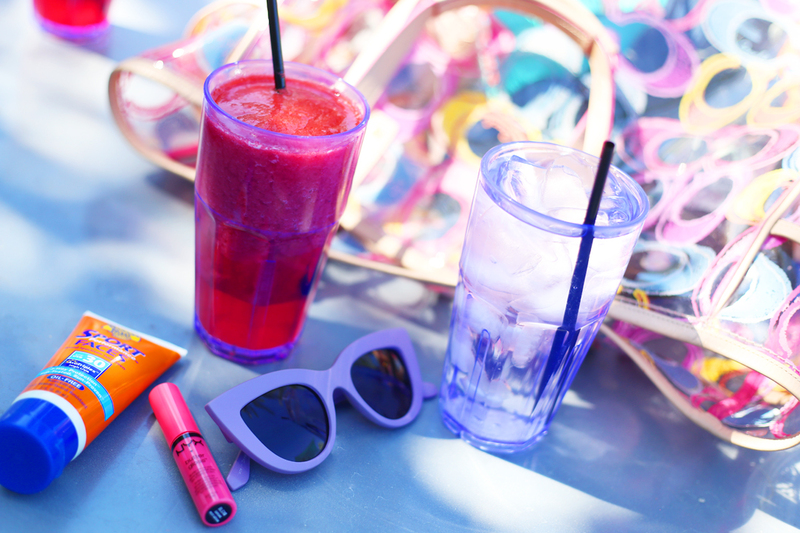 Check out the other bloggers in the Chic Blogger Giveaway! 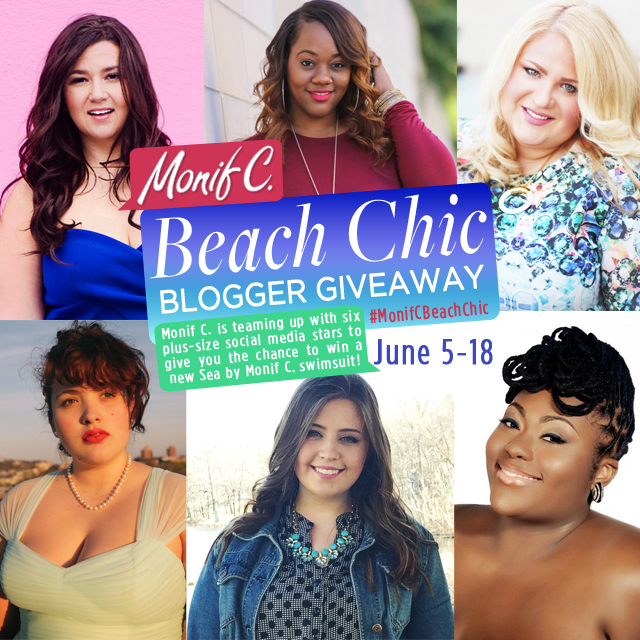 Monifc has teamed up with 6 fab plus size bloggers to do this fantastic swimsuit GIVEAWAY! Winner will receive one available Monif C. swimsuit (either a one-piece or a complete two-piece set) of their choice. Swimsuit selection will be based on availability upon request. Winner will be announced by June 20th via Facebook! I would love the Figi Sweet Heart Ruched 1 piece in black…such an gorgeous collection and it come in real women’s sizes…I love it!!! Since I lost 40lbs I am so eager to wear a swim suite to my up and coming VayK…so excited! I also love the Santa Rosa in Orchid…so beautiful it’s hard to decide…lol! !